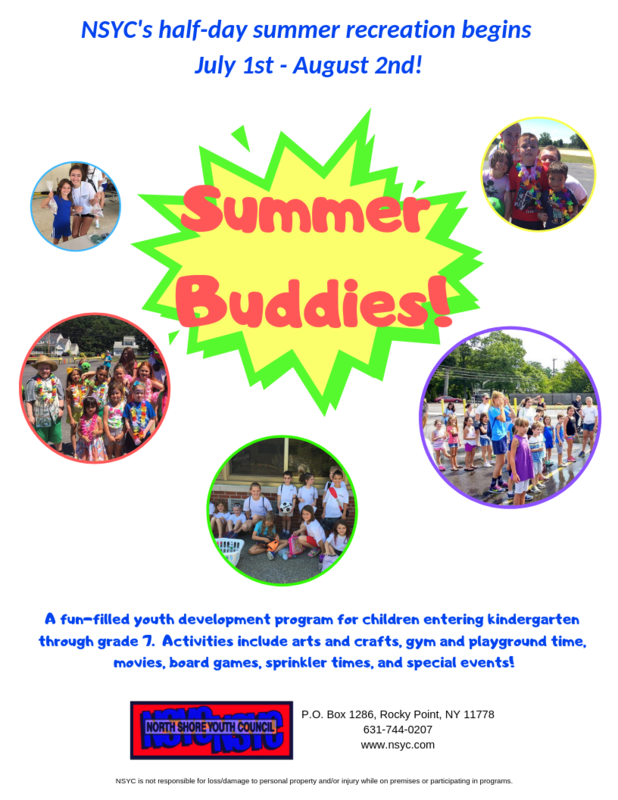 Our summer buddies program offers a half-day program of indoor and outdoor activities for children. Facilitated by NSYC staff we offer arts and crafts, games, special events, etc... This program also offers volunteer hours for local youth and employment opportunities for our teens. ​Camp Hours are from 9am - 12pm Monday through Friday. Counselor Interviews will begin late May/early June. 2019 Summer Recreation Online Registration will open May 1st!